In a world filled with stress, lack of privacy, and a pressure to “brand,” many people jump into self-promotion without a plan or a vision. Our society focuses on branding when we should be focusing on purpose-finding the greater purpose for our lives and using marketing to share it. If you’ve ever asked yourself, “Where am I going with my life and career? 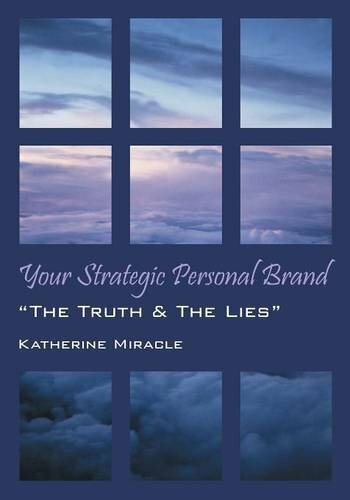 Is this what I was meant to be doing?” Then consider why your personal brand is not working. 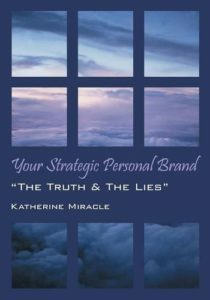 Create a solid life plan with Your Strategic Personal Brand, and get to know yourself (the truth and the lies you were led to believe), believe in yourself, and market yourself. Your brand is using your talents to find and fulfill your purpose, your passion, and your truth. Become the one person your company cannot live without, the person your family cannot live without, but most importantly, become the one person you have always wanted to be. It all starts with the brand! Click the Amazon logo to purchase today!